XCOM: Enemy Unknown released for iPad / iPhone today! 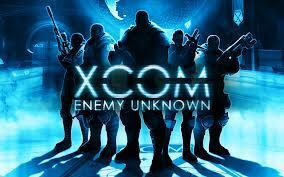 Firaxis Games’ 2012 award winning (to include many GOTY awards) game XCOM: Enemy Unkown has released for iOS today. For $19.99 you can get the both the iPad and iPhone version of the game and both sync to the cloud so you can start a game on one platform and continue it on the other. From what I’ve seen so far it seems the superior experience will be had on the iPad / iPad mini, but the iPhone version is just as playable, just with a bit more zooming and scrolling. I loved XCOM on the 360 and also on PC, but it always felt like a tablet version of the game would be more enjoyable. I haven’t fired the game up yet on my iPad but I’ll be sure to post some thoughts and screenshots when I have a chance. I’m just incredibly excited that I’ll finally be able to play this AAA title on the go! Some are complaining about the “steep” price, but realize that XCOM was a $60 console / PC game that can occasionally be bought for less when it’s on sale. The PC version currently sells for $39.99 on Amazon, while the Xbox 360 version is selling for $32.65. The iPad version currently lacks multiplayer, however it is said to be coming in a future free update to the game. This entry was posted in Apple, iOS games, Mobile, mobile games, Video Games and tagged ios games, iPad games, iphone games, XCOM, XCOM ios, XCOM ipad, XCOM iphone, XCOM: Enemy Unknown. Bookmark the permalink. Borderlands 2 just $9.99 on Xbox Live!